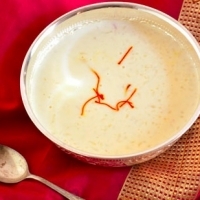 Pal Payasam is a classic dessert made with rice, milk and sugar. It is prepared on special occasions and festivals. It is rich, creamy and tastes heavenly. Mix together 2 cups of water and 2 cups of milk and boil. Add rice to it and cook well. Add the remaining milk, condensed milk and sugar and allow it to boil. When it begins to thicken, add the other ingredients and stir continuously till it thickens again. Before serving, sprinkle the cardamom and cinnamon powders. 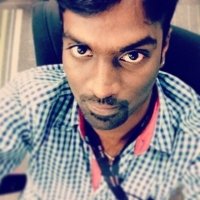 Like aravivel's recipes? Never miss an upload!